This is a business lesson from September 14th 1812. …………. burning of Moscow ……. The beginning of the lesson? 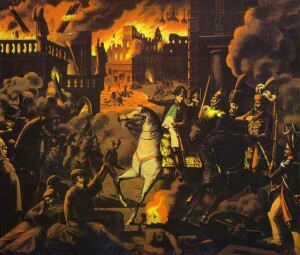 On September 14th 1812, the Russians set fire to Moscow in the face of Napoleon Bonaparte’s troops. The governor of Moscow herded out most of the Moscow residents and burned almost 80% of the city. Just as a reminder to all non-historians…this began the demise of Napoleon’s reign. This action not only permitted Russia to defeat Napoleon by forcing a debilitating retreat back to France, but it also began the demise of the Grand Armee of France. The point of this is… well … how far would you go to solve your business problem? Do you imagine there was consensus in this Moscow discussion & decision? Someone had some kahones. And I hesitate to believe many people in today’s business world have that type of kahones. The tough decisions are … well … tough. And they are even tougher when your survival is at stake. When you look at your situation do you even recognize how desperate your situation is? The business landscape is strewn with the wreckage of businesses that did not envision their own demise. I have to imagine neither of these points, as stated above, were popular, well-received nor accepted as a “so what do we do” type of moment. One of the most difficult things a company can do is address their situation in the market. In general I believe most companies and businesses are pretty good at assessing their situation in the marketplace. I, for one, have been in a number of those types of meetings where everyone sits down and honestly assesses the difficult position they are in. I am not suggesting this is an easy discussion (but at least we don’t have Cossacks with really sharp swords standing around us while we are discussing what to do). Are you willing to put 80% of everything you have up in flames to win? I guess it depends on whether you believe the situation merits it. And that is a toughie for sure because we are certainly a country and group of optimists and in general we always believe there is a positive horizon. And burning ‘the city’ isn’t necessary. Would someone in your group recognize it? And if someone did would you listen? This date in history reminds us that sometimes extreme situations demand extreme solutions. Keep your eyes open. 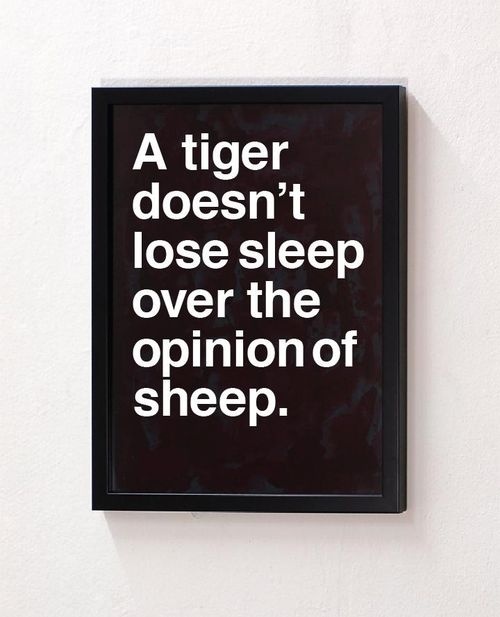 And keep your mind open to solutions. 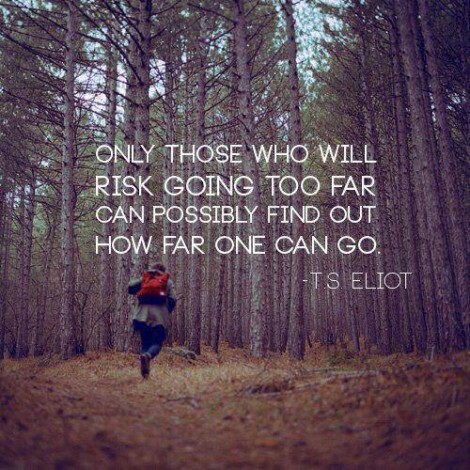 Sometimes the extreme solution, while scary, is the right solution.